As India and Australia up their preparations for the first test match due to take place on 6 December, we take a look at the venue for the encounter, the Adelaide Oval. The Adelaide cricket stadium has been an epitome of Australian cricket over the years. Nestled among breathtaking views, the Adelaide Oval is not only Australia’s most picturesque cricket venue but also offers one of the longest boundaries in world cricket, spanning 190m from either end. Located in South Australia, the Adelaide Oval has been revamped recently with huge stands erected on three sides of the playing area to increase the seating capacity to 31,000. Established in 1871, the stadium has tales to tell of a rich cricketing history with the first test match to be played on it dating back to December 12, 1884, between England and Australia. 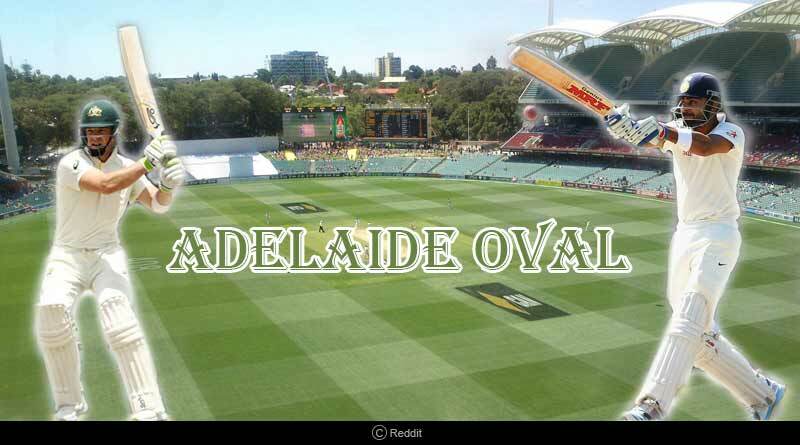 Traditionally, the Adelaide Oval offers one of the most spin friendly pitch prevalent in Australia, something that will give the Indian team confidence of bundling the hosts out cheaply with Ashwin expected to make the most of the conditions at play. However, the pacers will play an integral role as well for both the sides with the pitch curator promising a fair amount of grass to be left on the surface. Over time pacers have been seen getting good reward for their efforts from the pitch with a straighter line and tighter length the strategy to adapt to the courtesy of the shorter boundaries squarer of the wickets. The first test match offers India a great chance at improving what has been an otherwise dismal record at the stadium. India have played 11 test matches at the Adelaide Oval, winning only one, way back in the 2003-04 series. India have lost seven test matches at the ground, while three have ended in a draw. The most famous performances in Indian colours at the ground have been the heroics of Rahul Dravid who scored the only double century by an Indian batsman on this ground during the famous win solitary win at the ground and a scintillating spell of pace bowling by Kapil Dev. His figures of 8/106 still remain one of the most impressive performances by a foreign player at the venue and the current crop of players will be looking to draw inspiration from these performances. The home side meanwhile have enjoyed a good run at the ground recently with wins in each of their last four test matches contested at the venue and only one defeat in 13 since 2003 to take their win percentage to 52% at the venue. The ground has witnessed some fine batting performances and mighty totals with 15 double hundreds being scored by Australians here.